Scientists in the United States report a breakthrough in their efforts to find a treatment for Alzheimer’s, the most common form of dementia. In doing so, they resolved a longstanding problem of how to study Alzheimer’s and search for drugs to treat it; the best they had until now were mice that developed an imperfect form of the disease. 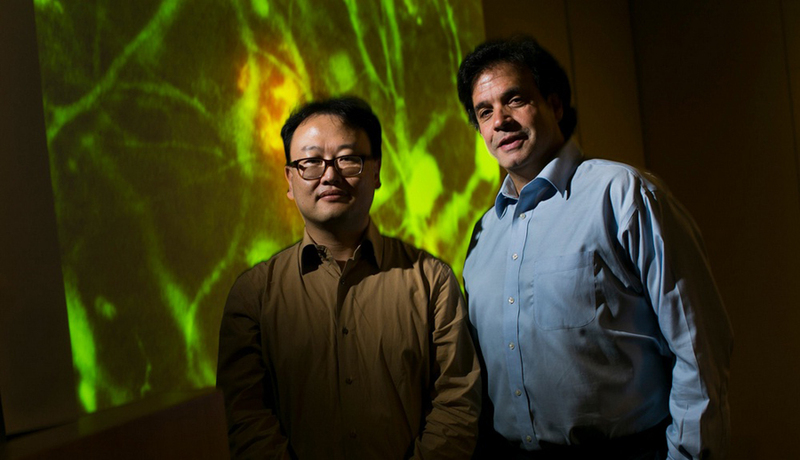 The key to their success, said the lead researcher, Rudolph E Tanzi of Massachusetts General Hospital in Boston, was a suggestion by his colleague Doo Yeon Kim to grow human brain cells in a gel, reports New York Times. Tanzi says they grew the brain cells in a gel and then added genes for Alzheimer’s. Within weeks, cells soon developed hard clumps known as plaques, and coils known as tangles – both features of Alzheimer’s that disrupt normal brain activity. They call it “Alzheimer’s in a Dish,” having successfully reproduced the disease in human brain cells in a laboratory petri dish. They also identified the essential role in that process of an enzyme, inhibition of which could be a therapeutic target. Cultured neurons from human patients with Alzheimer’s exhibit elevated levels of the toxic form of amyloid found in plaques and the abnormal version of the tau protein that makes up tangles, but not actual plaques and tangles. The team used a gel-based, three-dimensional culture system to grow human neural stem cells that carried variants in two genes, the amyloid precursor protein and presenilin 1, known to underlie early-onset familial Alzheimer’s disease (FAD). Rudolph Tanzi, PhD, said that this new system, which could be adapted to other neurodegenerative disorders, should revolutionize drug discovery in terms of speed, costs and physiologic relevance to disease. This breakthrough will help reduce the time and cost of drug development. Until now, researchers had to study the disease in mice, a process that can be very time consuming. With the petri dish system, Tanzi says scientists can not only test thousands of drugs in a matter of months but also reduce the cost of testing. But scientists also urge caution, given that the petri dish system lacks certain crucial components, like immune system cells, that appear to contribute to the devastation once Alzheimer’s gets started. He already has used his system to look at drugs designed to prevent the formation of amyloid, the protein that clumps into plaques. The drugs, he reports, prevented both plaques and tangles in the petri dishes.